Parents have a critical role to play in their children early math education. They are their children first and main role-models at many levels of their development. In this respect, math is not to be neglected. Research has shown that children who see their parents interested in mathematics will be themselves more engaged in the subject, a determining booster for later learning. 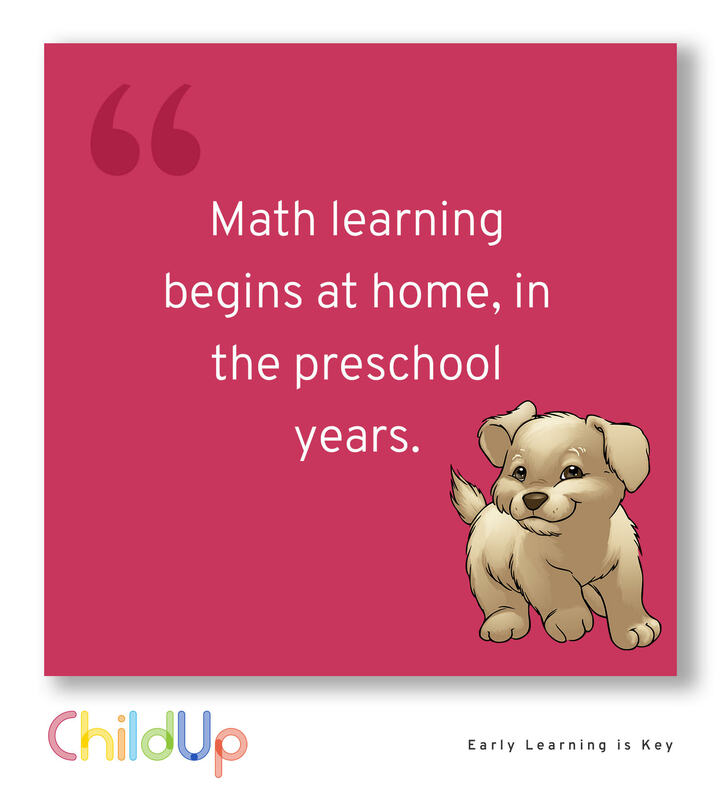 There are a few basic math skills that children need to have at kindergarten entry; and there are plenty of simple and fun opportunities to train those skills in your everyday life with your child. What are the most important early math steps? At the door of kindergaten, first of all, students are expected to demonstrate fundamental counting skills. This means they must be able to count to 20; to classify number cards; to identify how many items are in a small set; and to understand that quantity does not change regardless how things are arranged in a set. Moreover, children should be capable to make basic addition and subtraction, using objects. New kindergartners should know that the number "ten" is made up of 10 "ones". This is why (thanks to human morphology) counting fingers and toes is one of the most practical and efficient ways to learn to count to 10. Kindergarten beginners are also expected to sort items by their features, like shape, size or color; to order items, for example from smaller to bigger; and to compare objects using language such as "more than" or "less than", "longer" or "shorter", etc. Geometry skills matter, as well. Kids entering kindergarten should be able to recognize simple 2D shapes like squares, rectangles, circles and triangles. "At birth, all Children are "gifted" for nothing in particular; they are gifted for everything." The Best Pupils Don't Perform Well Because They Are "Gifted"